This time last year my husband and I were in Berlin visiting the Christmas markets. As I sit here writing this on a bitterly cold Calgary afternoon, we were supposed to be on holiday in London with a side trip to Belgium thrown in. A few weeks ago, we had to cancel our trip, so my challenge is to replicate 10 days of activities we’d planned in London/Belgium in Alberta. Can it be done? 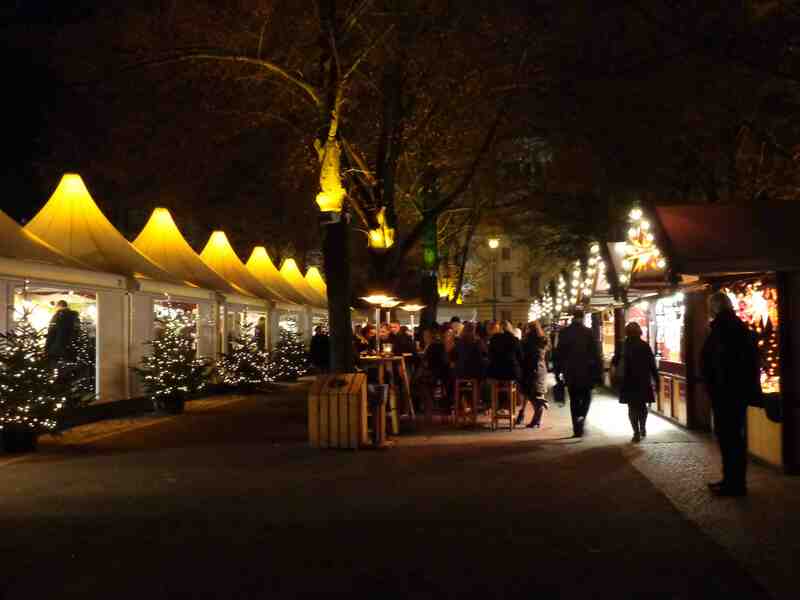 Challenge #1 – CHRISTMAS MARKET. There’s something very special about European Christmas markets. For me, it’s do with the fact that most of them are held outdoors, the glittering twinkle lights, warm gluhwein, hot roast chestnuts, Christmas music playing, fire pits to warm yourself up, and, of course, all the goodies for sale. Could I find all that in Calgary? 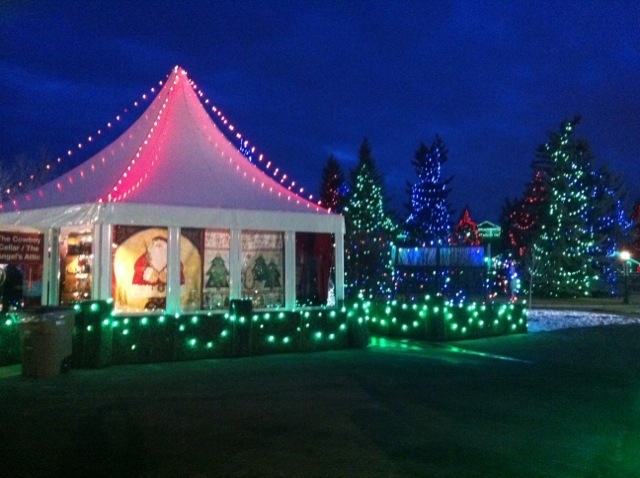 Over three weekends, Spruce Meadows hosts an International Christmas Market. We visited on Friday afternoon and it provided everything – and more – that you’ll find in a European market. Outdoor (and indoor) vendors? Check. Gluhwein? Check. Hot roast chestnuts? Check. Fire pits to sit by and savour the warmth and scent of burning logs while sipping on a hot chocolate? Check. Christmas music? Check. Plenty of goodies for sale? Check. In addition, there were 12 of Santa’s reindeer in attendance, as well as a petting zoo for the children. Did you know a reindeer’s nose warms the cold outdoor air before it gets to its lungs, and that both male and female reindeer have antlers? So did Calgary meet the Day 1 Europe/Alberta challenge? Absolutely! 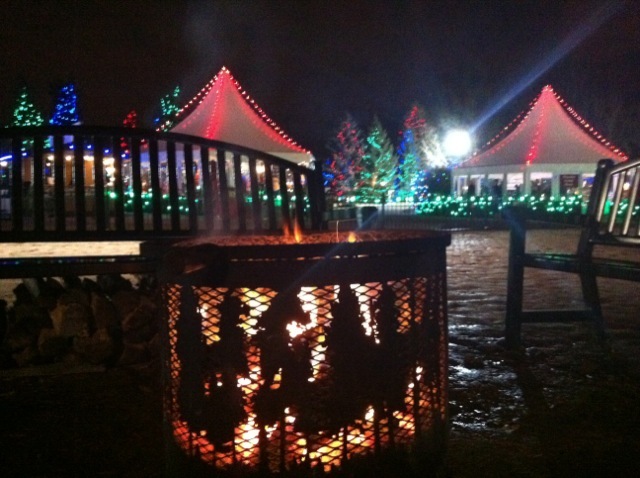 This entry was posted in Travel and tagged Alberta, Calgary, Christmas market, London, Spruce Meadows. Bookmark the permalink. Great minds think alike, Mary! Heritage Park is on my list for this weekend – as long as it’s not too cold – as a substitute for London’s Geffreye Museum. And I’m still musing about the TinTin challenge! I won’t be able to come up with a direct comparison, but I’m sure I’ll think of something – eventually!